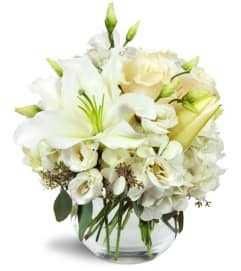 When you want to send a big burst of holiday cheer, this is the perfect gift to give! 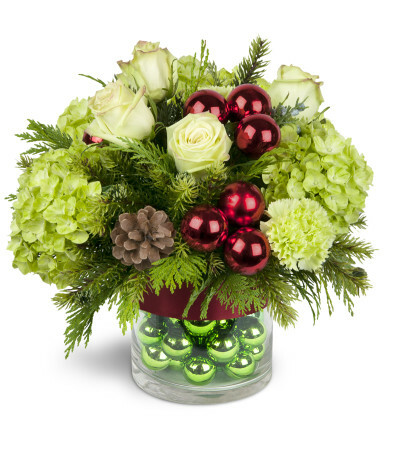 Featuring a vase filled with shiny green baubles, it might as well have "Merry Christmas" written all over it! 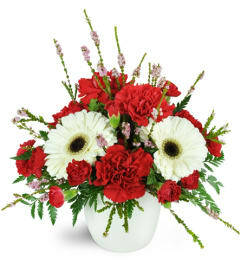 Festive green blooms are arranged atop a vase filled with green baubles - what fun!